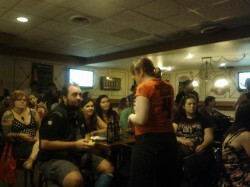 We had an excellent crowd attend the CBC television broadcast of Four-Wheeled Furies on August 4, 2012. The hour-long documentary profiles some of the women who are part of the Rideau Valley Roller Girls (RVRG) and the fascinating world of roller derby. 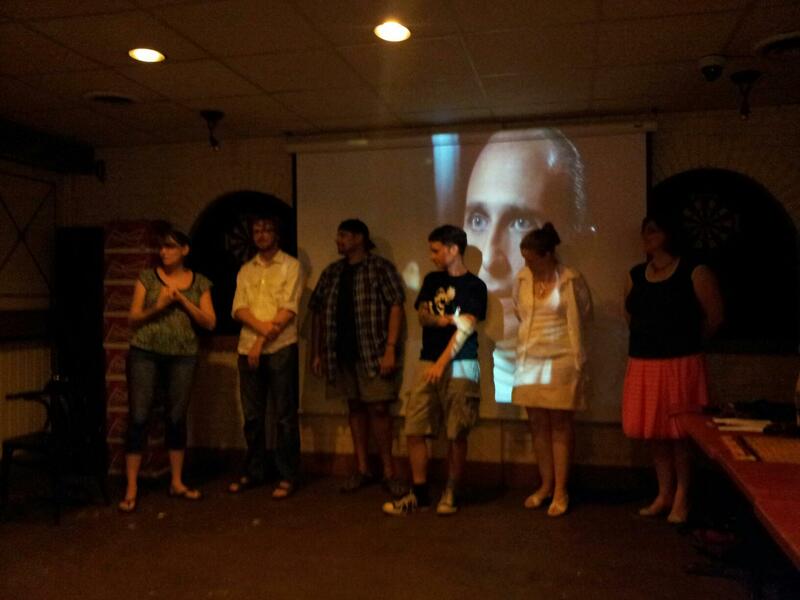 The audience at the screening was made up of RVRG members, their friends and familes, and the documentary’s crew. The documentary received an enthusiastic response, with a teary Lauren Hart (Sister Disaster) addressing the crew to say how pleased she was with how the documentary captured the real spirit of fun and camaraderie that the league tries to foster.